Looking for cute and easy Easter Cupcakes? 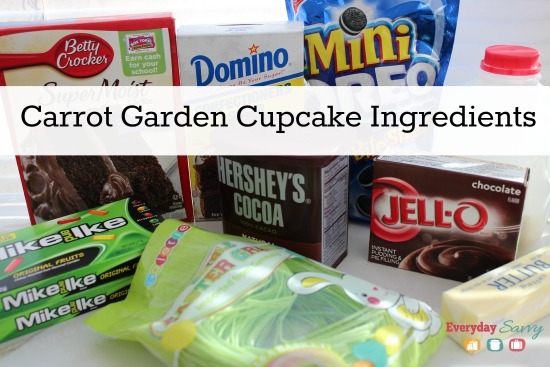 Try these super cute Carrot Garden Easter Cupcakes. The orange Mike & Ikes with edible Easter grass decorate the cupcake and look like a garden the Easter bunny would love! Kids and adults alike will enjoy eating these cute and tasty Easter cupcake decorations. Plus they are not too hard to make. Cute and easy…the perfect combination. 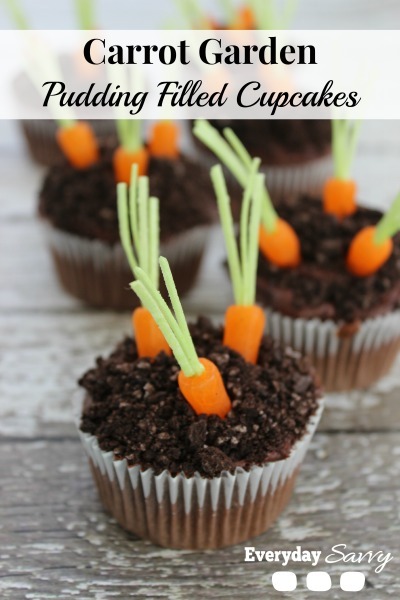 Cute candy pudding filled cupcakes that look like carrots growing in a garden. Perfect spring or Easter treat. Hope you enjoy these Easter cupcakes. 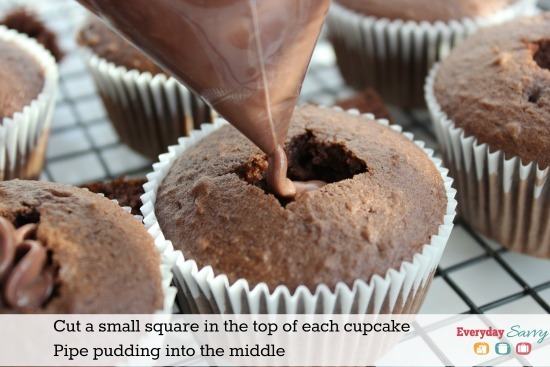 Looking for more great tasty and easy recipes? I love how cute these cupcakes are! 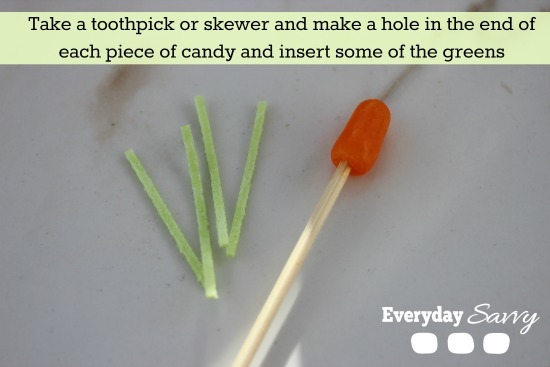 Our four 3 year-olds would be thrilled to try them. I pinned this. Thank you. Glad you like them! I am sure your kids will love them. so stinkin’ cute!! Totally making those this year!! Oh yes, those cupcakes are very cute. And very creative with the carrot on top.